When Emmy was a young gem she was the first normal emerald besides Tarpiche. 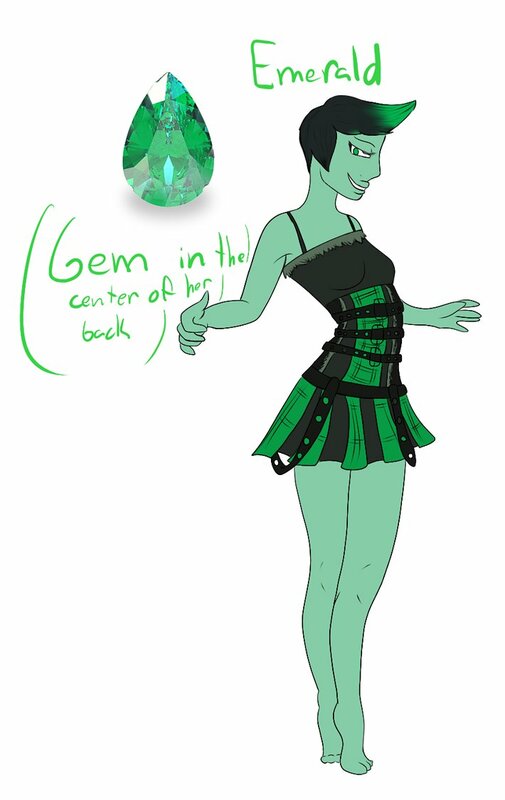 so homeworld had trouble finding her a purpose, so on her mean time she would study all the gems and write it down in documents. Tarpiche was her friend and gave her hope in one day finding a place in home world. One day Tarpiche didnt come back from her mission but luckily someone put a good word in for her and got to be the Replacement for Tarpitche. She was the best commander and lead the solders in the rebellion but sadly it didnt go as planed.